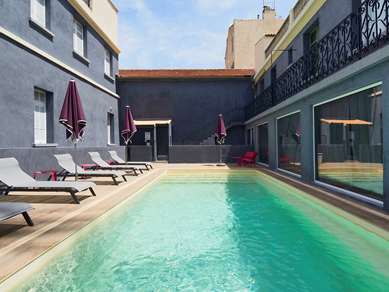 Hotel Kyriad Arles is an ideal point of departure for you to fully enjoy the charms of Provence and the Camargue, land of Frédéric Mistral and Vincent van Gogh. 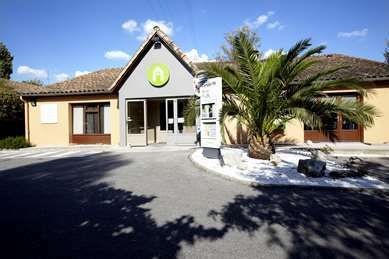 Ideally located just about three quarters of a mile from the historic city center, 5 minutes from the highway, 20 minutes from Nîmes and 40 minutes from Avignon, our hotel offers all the comfort of a modern 3-star establishment. 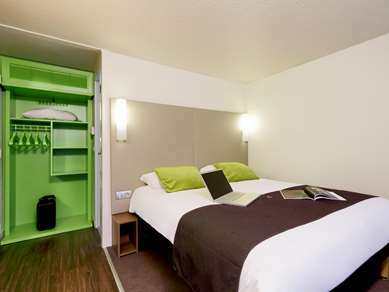 Fully air-conditioned, the hotel has a Wi-Fi network and satellite TV, as well as private enclosed free parking. 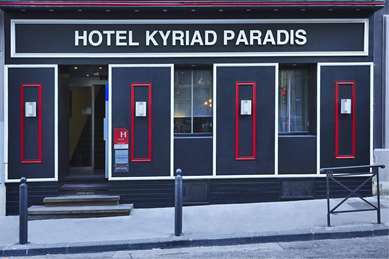 Hotel Kyriad Arles welcomes you in its 45 rooms where everything has been designed for your comfort and convenience, whether you are here for business or for pleasure. The 89 renovated rooms at our 3-star Hotel Kyriad Marseille – Palais des Congrès – Vélodrome are designed to ensure comfort, relaxation and rest. Come stay with you family in our triple, quadruple or connecting rooms. Private bathrooms come with a shower or bathtub and a hair dryer. 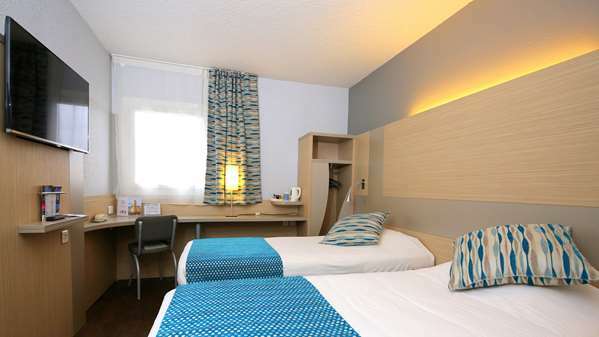 All our rooms are air conditioned and equipped with high-quality bedding. We provide free Wi-Fi and a flat-screen TV with TNT, a desk area and a direct dial telephone. To welcome you upon your arrival, you will find a courtesy tray with kettle, tea, coffee and cookies. 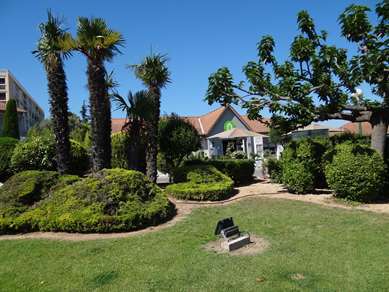 The hotel is accessible for people with reduced mobility and offers 3 specially adapted rooms. 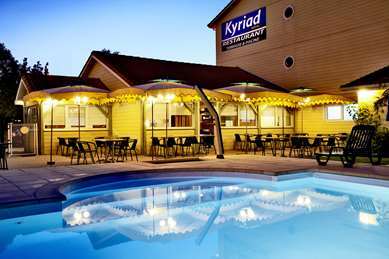 Hotel Kyriad Marseille – Palais des Congrès – Vélodrome offers a very balanced and complete all-you-can-eat breakfast buffet so you can fill up on flavor and start you day off right. I think most of the reviews say it all. This hotel is good but could be very good - It does nothing wrong but nothing exceptional either. The location is in a rundown area and not much happening in the vicinity. There is a road nearby with some local shops and lots of Halal Kebab Houses (the Restaurant A'tay is worth searching out!!). The highway is very close and the Metro a good 20mins walk. The rooms are fairly small (maybe adequate) but the bathrooms smell - It's all clean though. Restaurant is good with a very good and huge starter buffet but breakfast is nondescript and overpriced at €10. Parking is available at a cost but if you search (or are lucky) there is free on-street parking. I was unlucky to stay one night on the same day as a football game so prices were high and too high for the type of hotel and category. Rooms are clean and basic but well maintained with good soundproof windows ( the hotel is on a trafficked road). Though the smell in the bathroom is bad. Breakfast is ok but expensive, you'd rather skip it but there is no cafes or restaurants around. 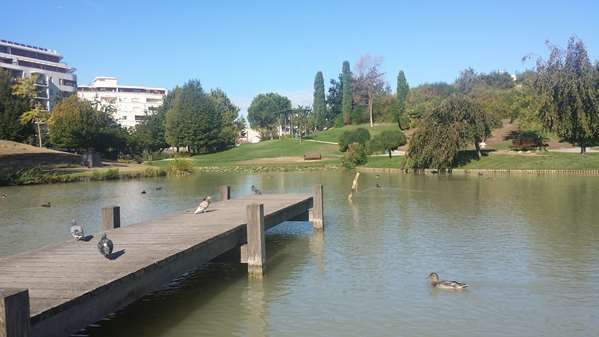 The location is not so good but you can walk to the metro Prado or take a bus nearby. Staff is overall very pleasant. A closed parking is available for a reasonable price. Good, could easily be very good! 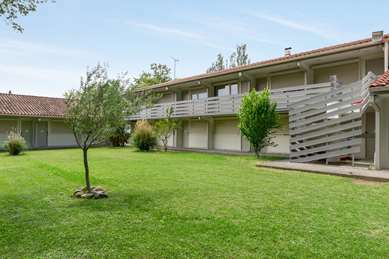 If you have a car (or rent one), the location is excellent, near highway or ~10 mn from the center of the town. Hotel is really calm, the room was clean & comfortable. Access was easy, even with big luggages (ramp for people with disablilities, lift). All commodities are really present : air conditionner, good bed, free wifi, tv, kettle with dehydrated coffee, tea and biscuits refilled everyday in the room. Also, good breakfasts for all tastes & apetites (limitless) ! Staff was also really welcoming & friendly. No need to book for car parking as there is a lot of available space just few steps away. Even if prices seem reasonable, I didn't take lunch nor diner there as center of city propose better options.